Here nothing difficult. Very Easy and simple step for Install an .apk file in the Android Emulator using command prompt (cmd) without Eclipse. 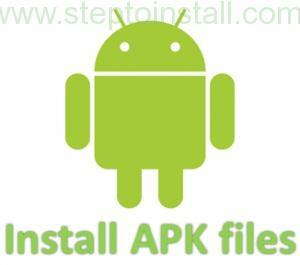 We are going to install .apk file on windows command line with Android Emulator. We can install .apk using Eclipse. But here we making in the Android Emulator with command prompt (CMD). First have execute the Android Emulator. Place your .apk file into the ‘platform-tools’ folder or ‘android-sdk\tools’ folder. Open your Command prompt. Then navigate to platform-tools\ folder of the android-sdk folder. Here, karsho.apk is your .apk file name. This will be install in the Internal Memory of the Emulator. Next story Android Emulator Error – Failed to install *.apk on device *’emulator-5554′: timeout Launch canceled!